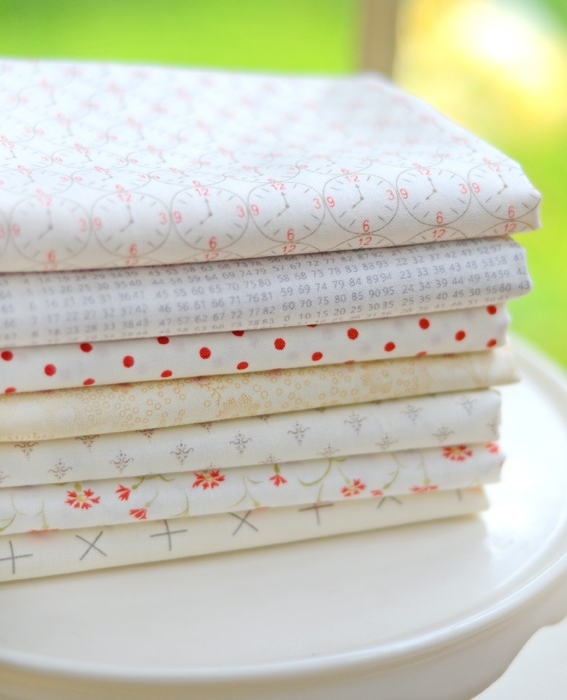 We love our low volume bundles and each time we get a new grouping of creams in the studio, we whip up a new one! This one is a perfect little combo of some of the newest creams and ivories from our favorite MODA designers. 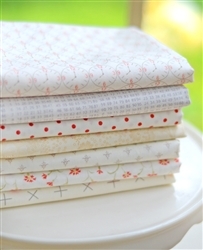 Fabrics include creams from the following collections and designers: Sandy Gervais, Zen Chic, 3 Sisters and more!